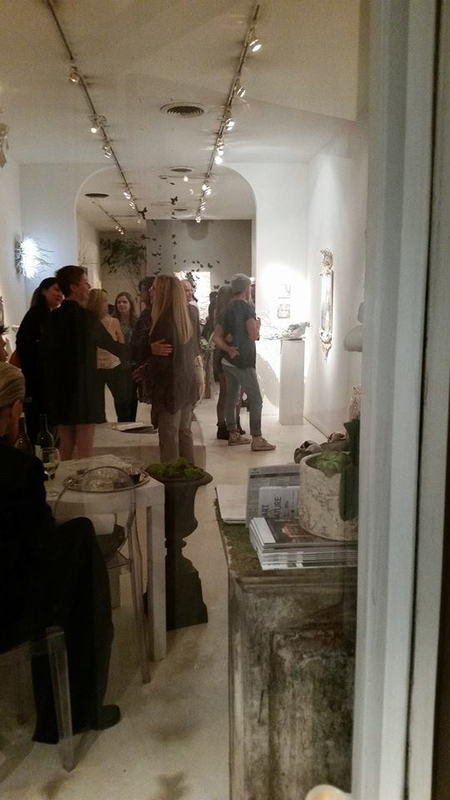 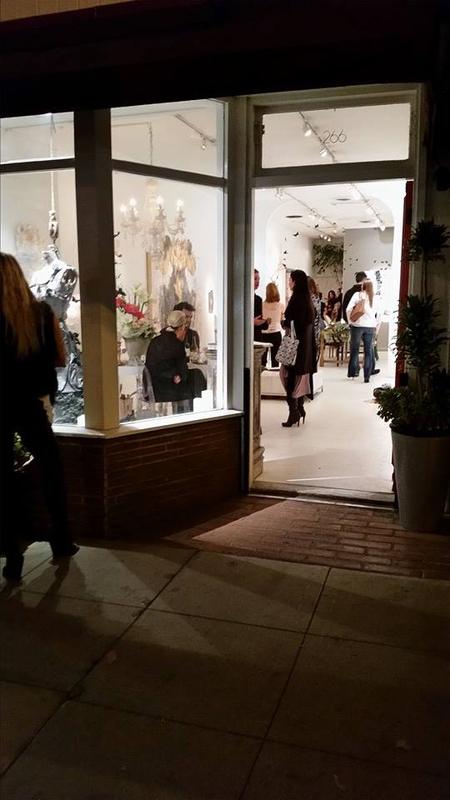 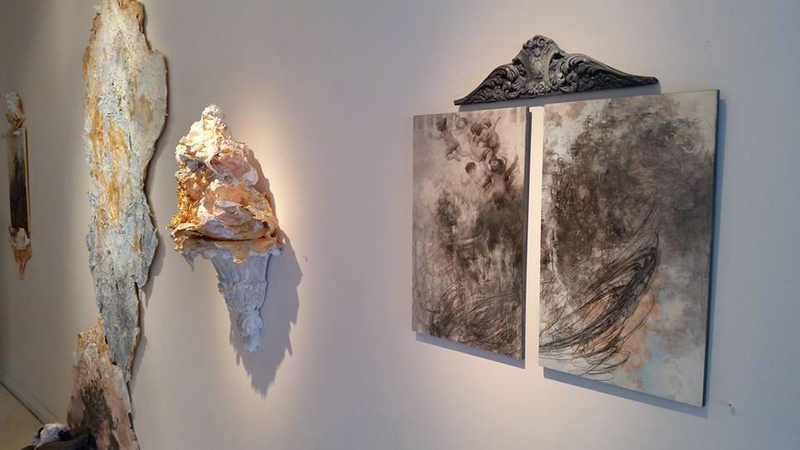 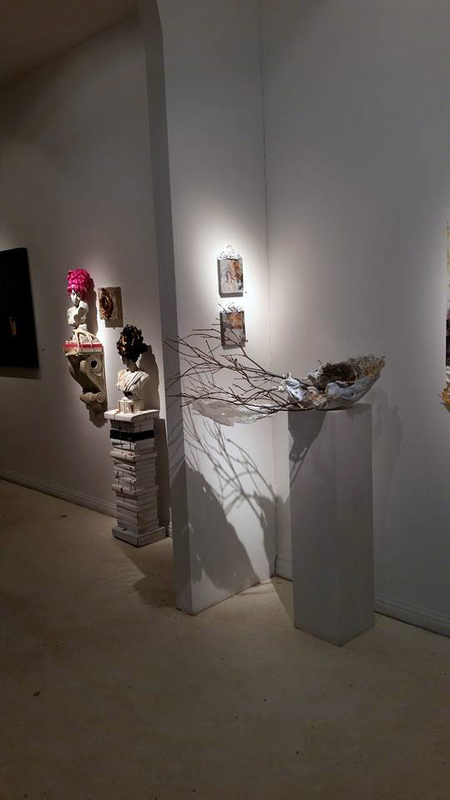 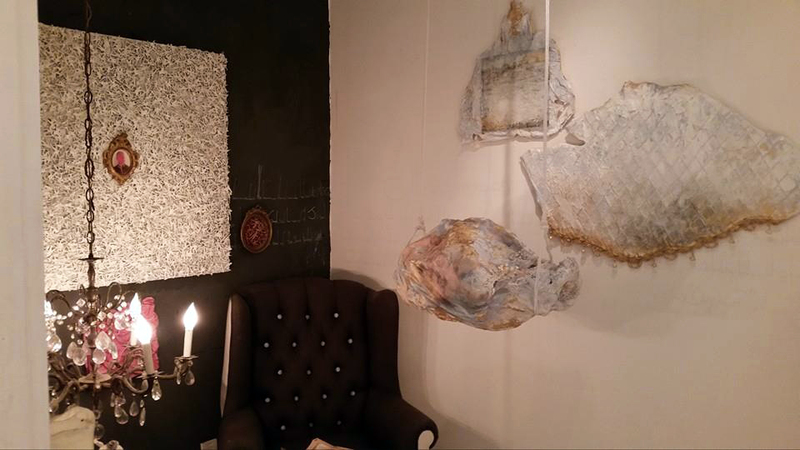 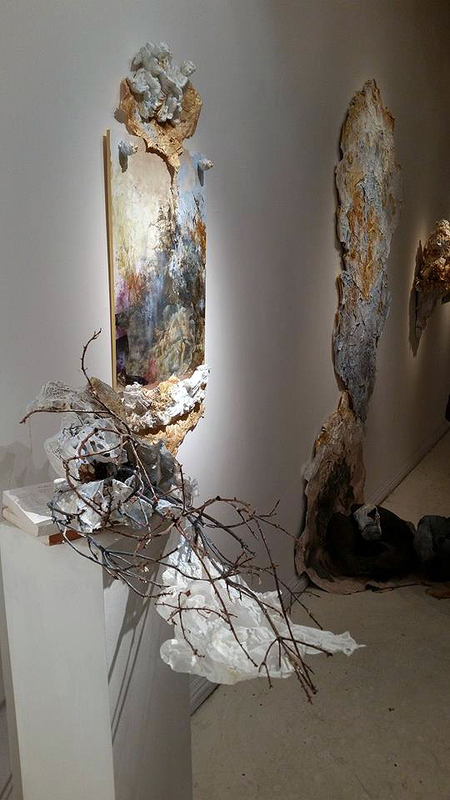 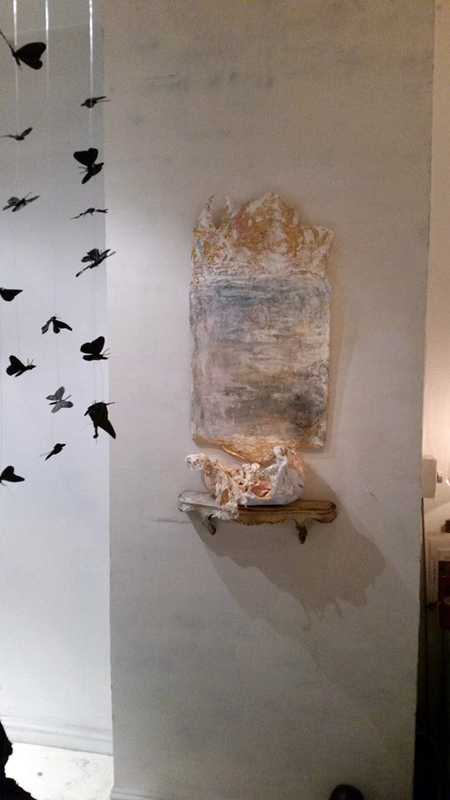 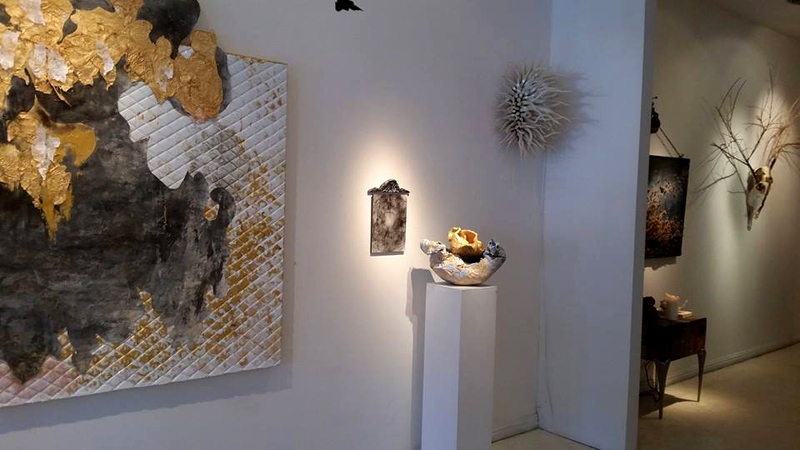 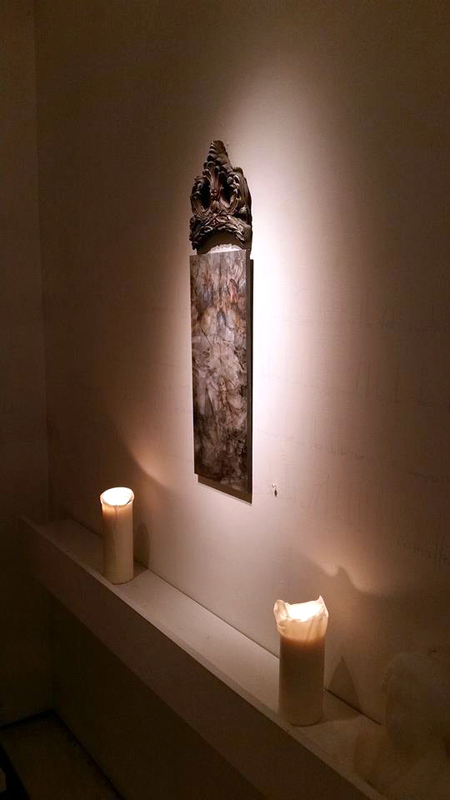 Suspended Beliefs exhibition at Art Cube Gallery in Laguna Beach, CA. 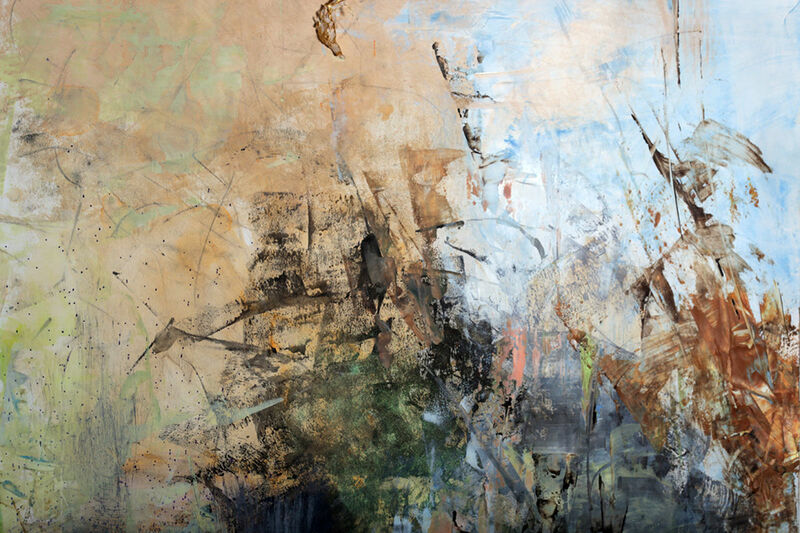 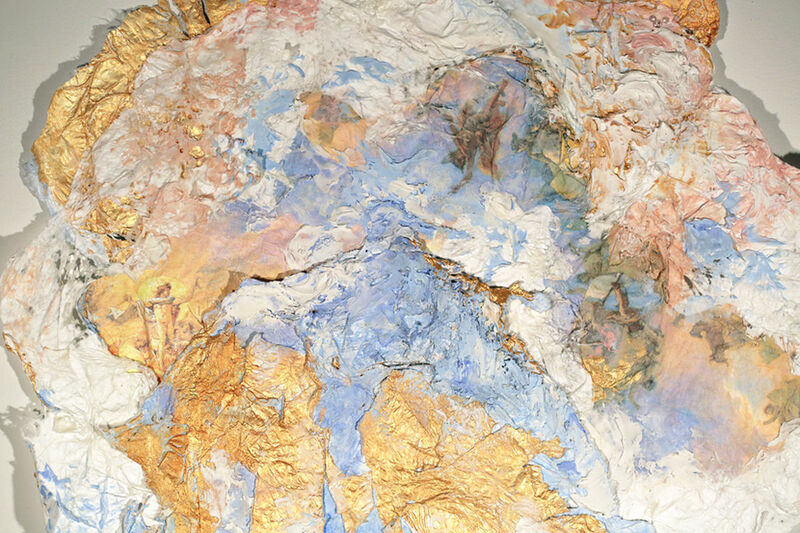 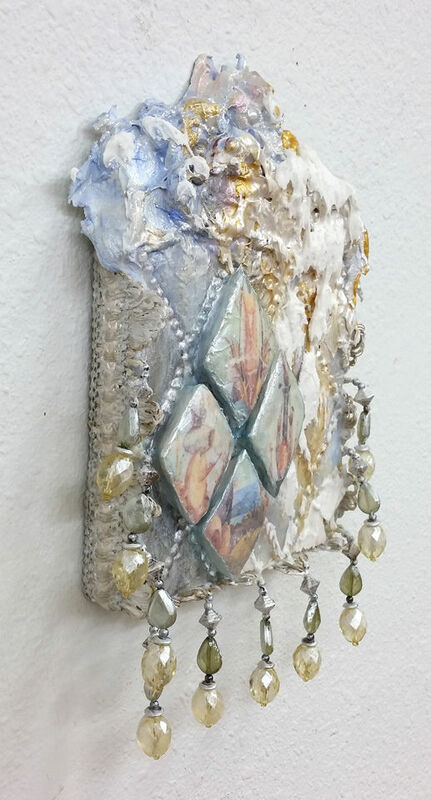 My current body of work began in part, with a desire to create a variety of rich inviting surfaces with diverse materials and techniques. 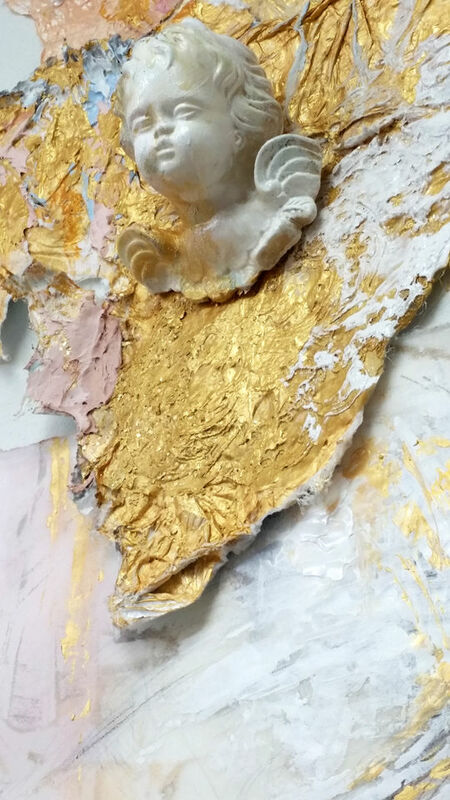 I've been especially drawn to concepts of extravagance, indulgence and beauty found in the Baroque and Rococo periods with their “other worldly” pinks, blues and golds. 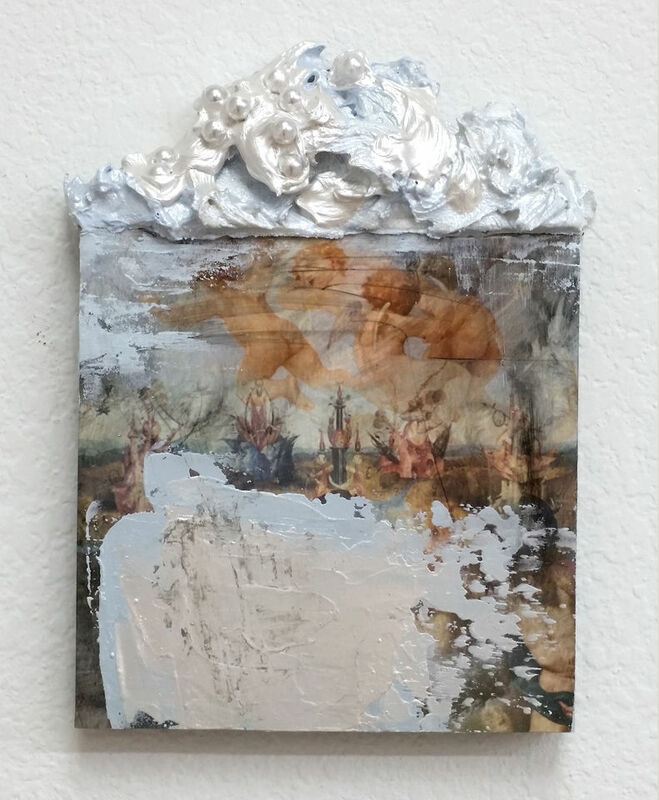 I’m expounding upon the evocative and symbolic attributes of “heavenly-ness”; facades which enlist notions of both vanity and spirituality by over glorifying and embellishing treasured artifacts. 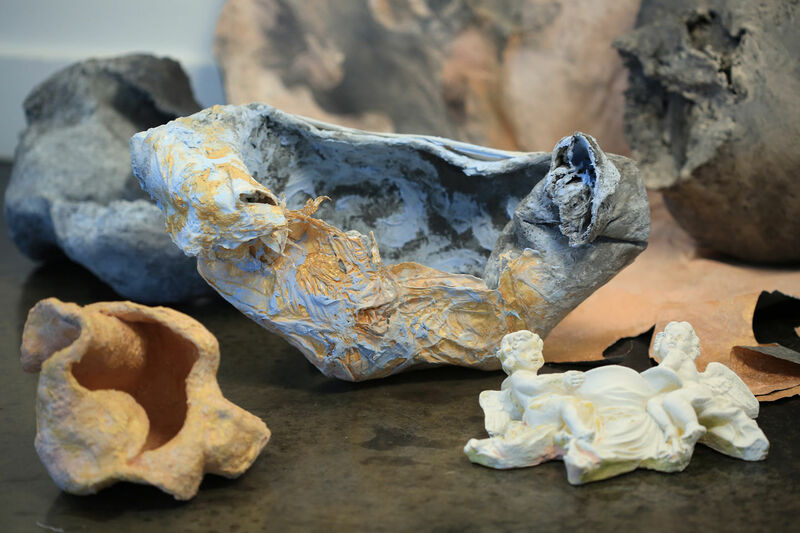 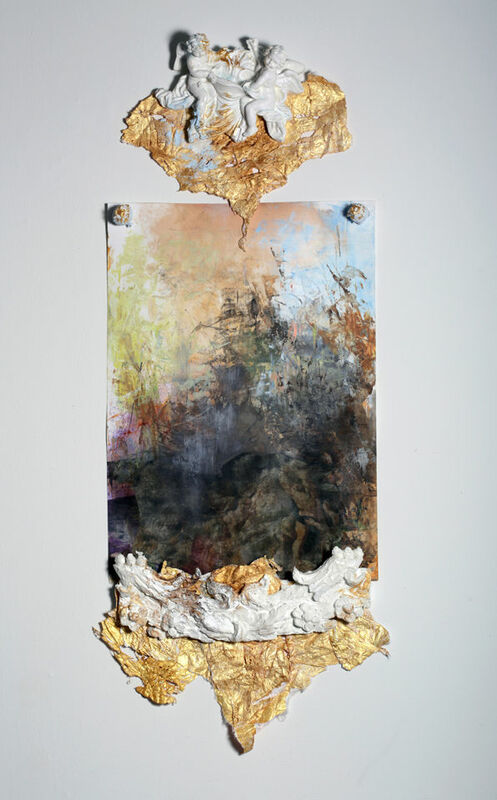 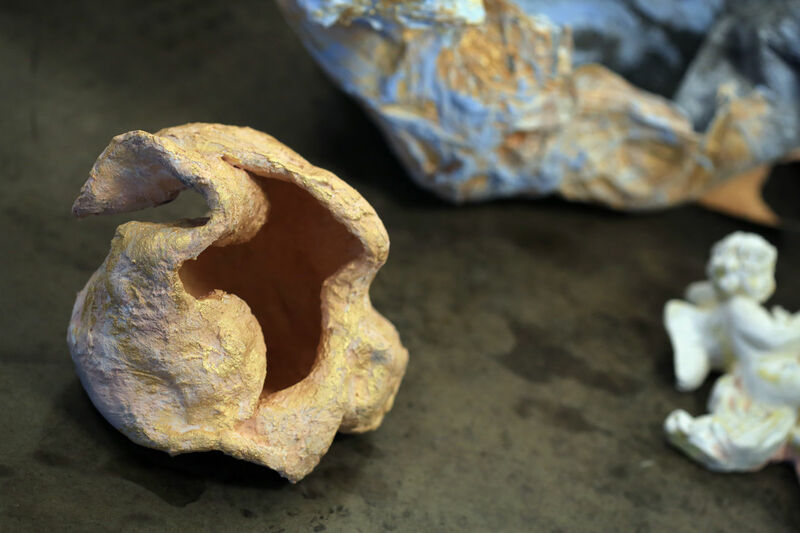 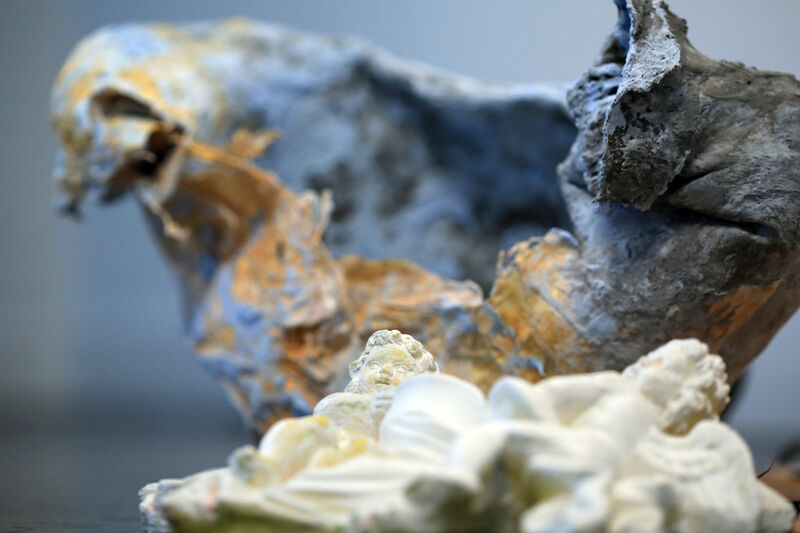 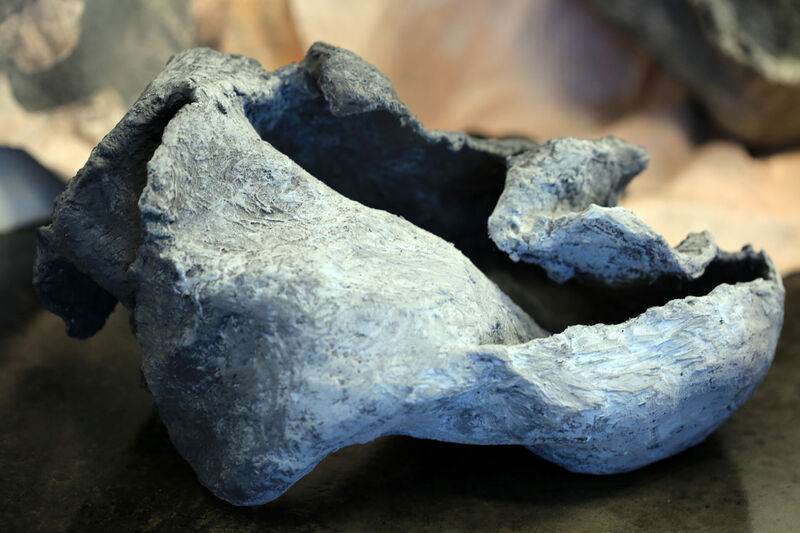 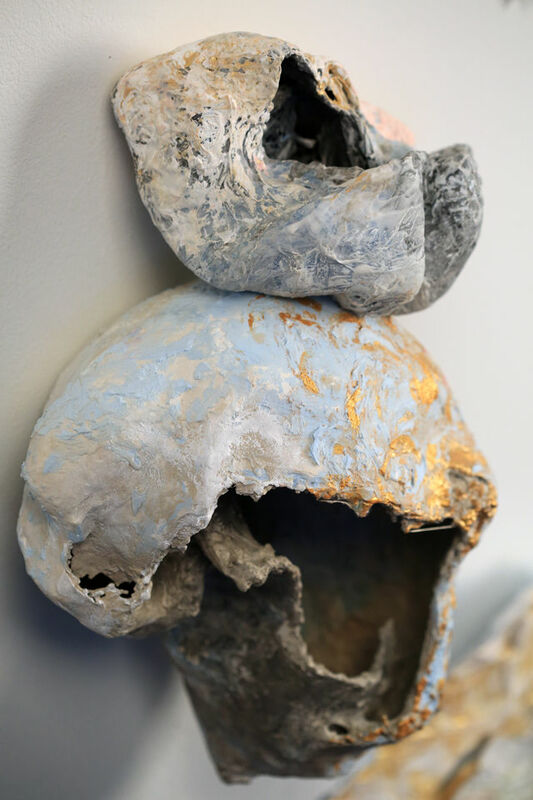 I then juxtapose those pristine elements with the presence of decaying vessels and imagery which speak to our very nature and earthly struggles. 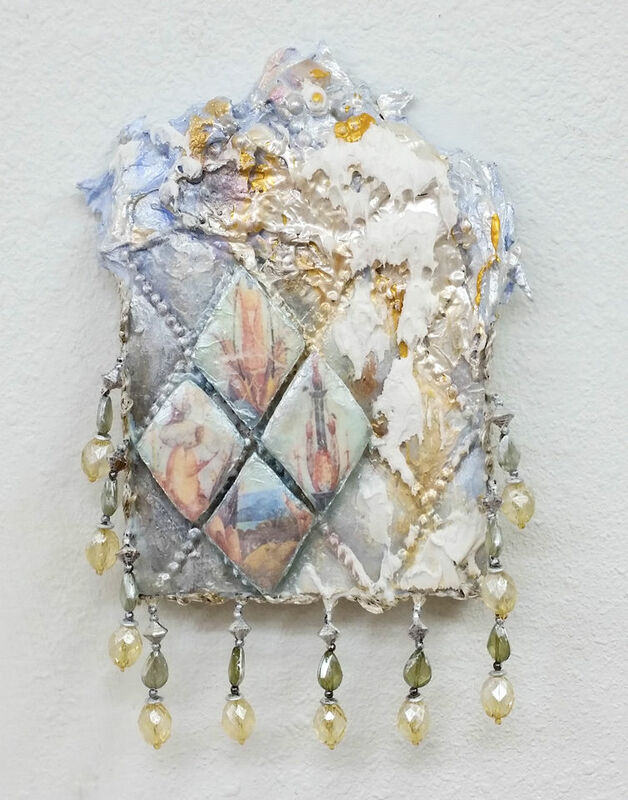 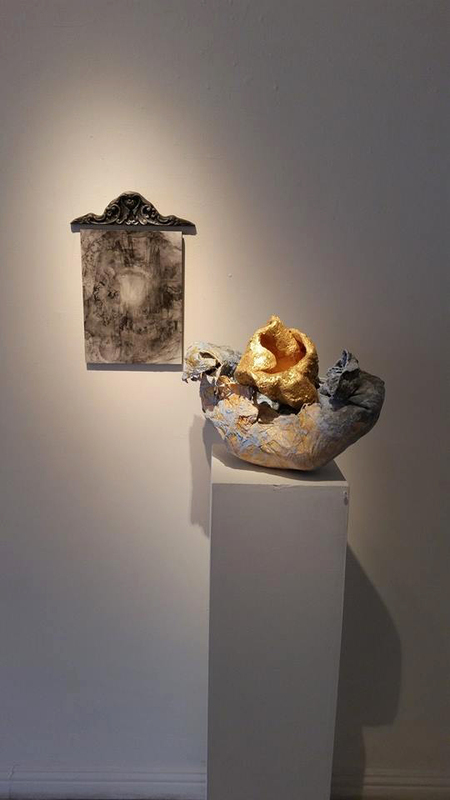 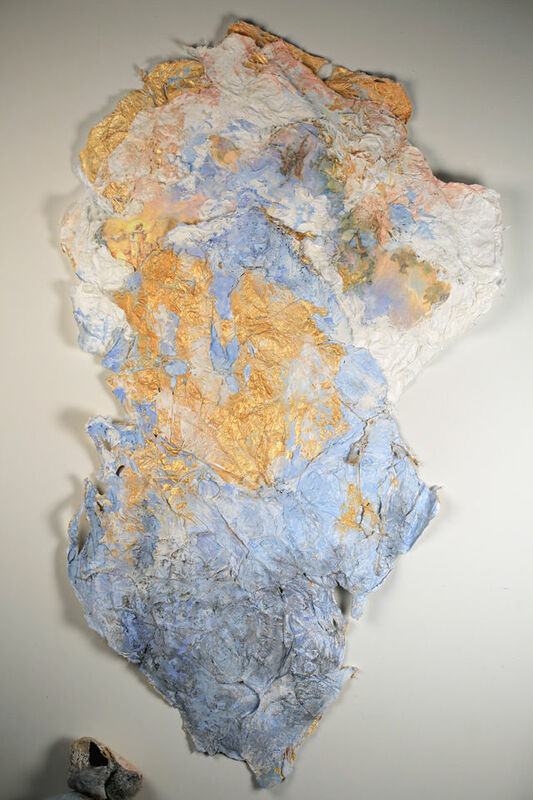 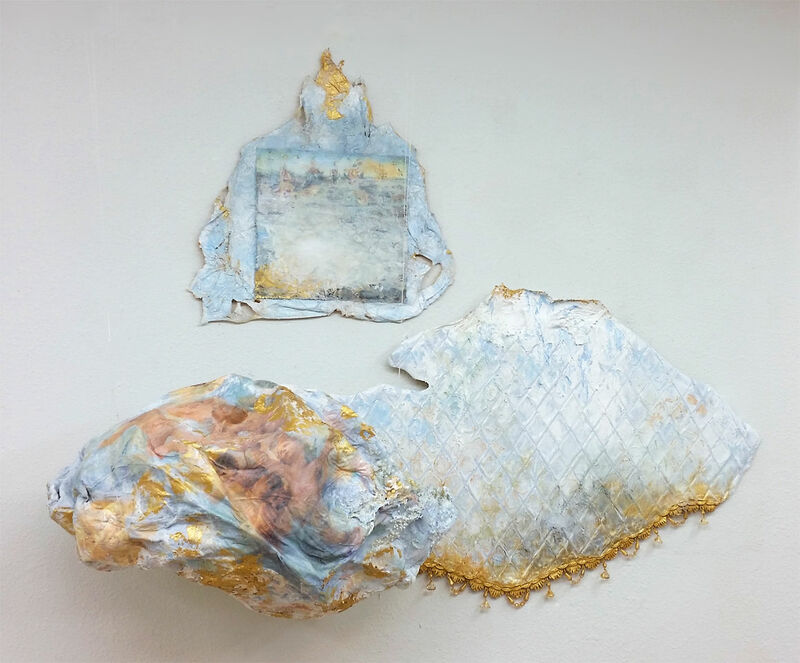 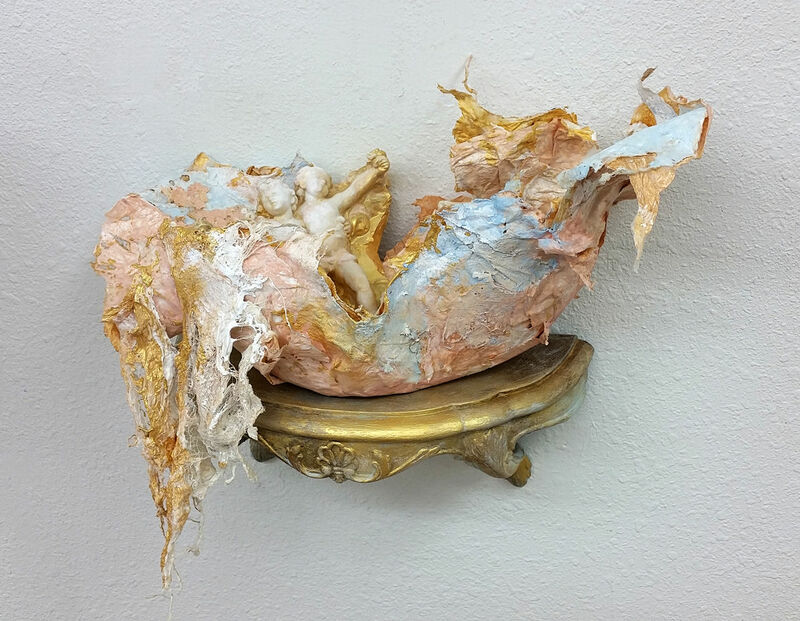 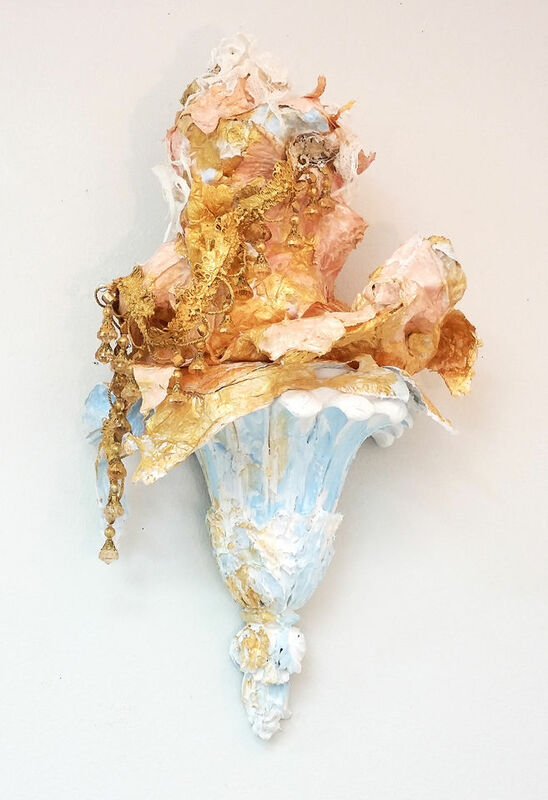 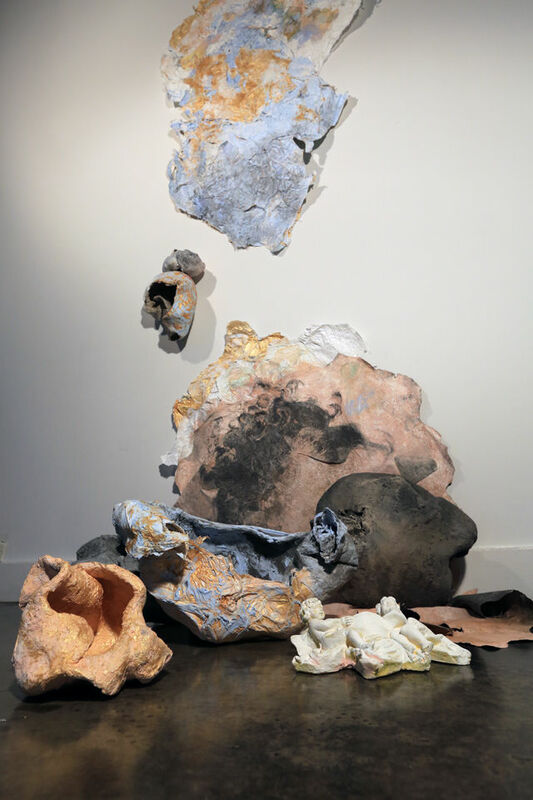 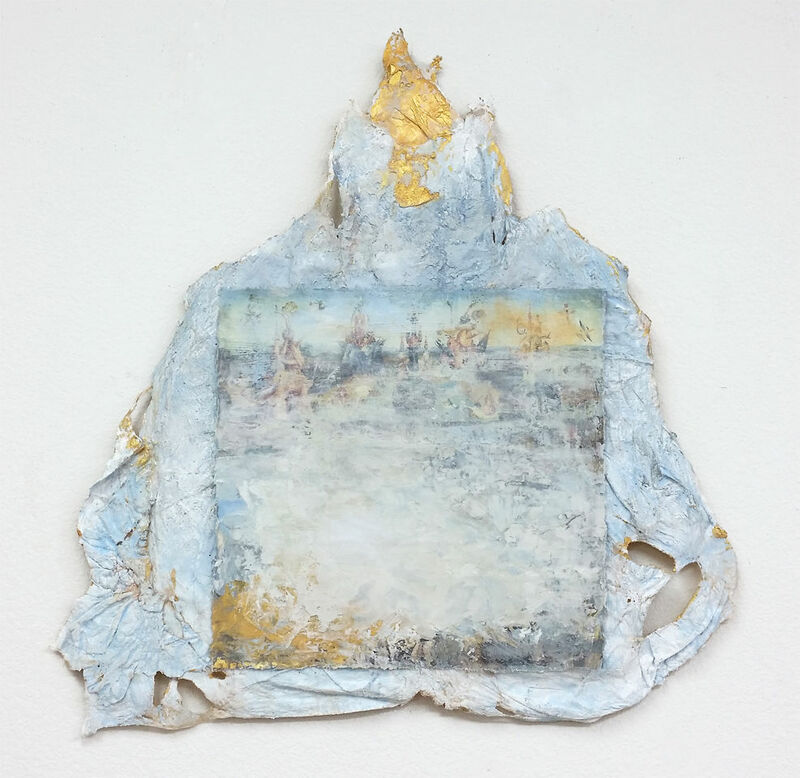 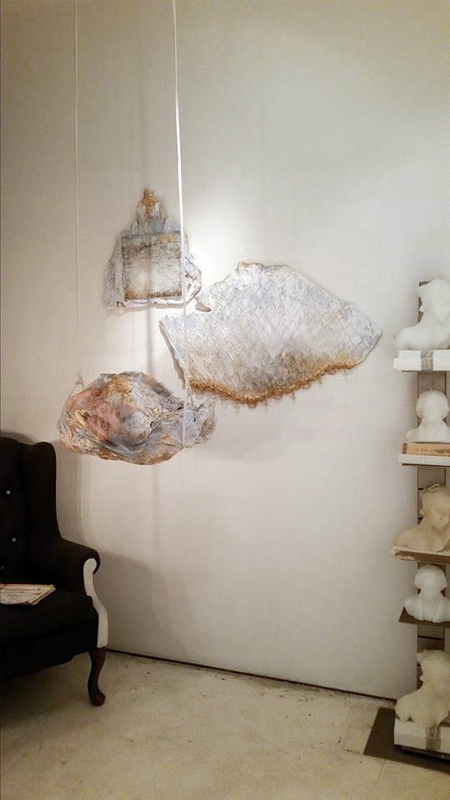 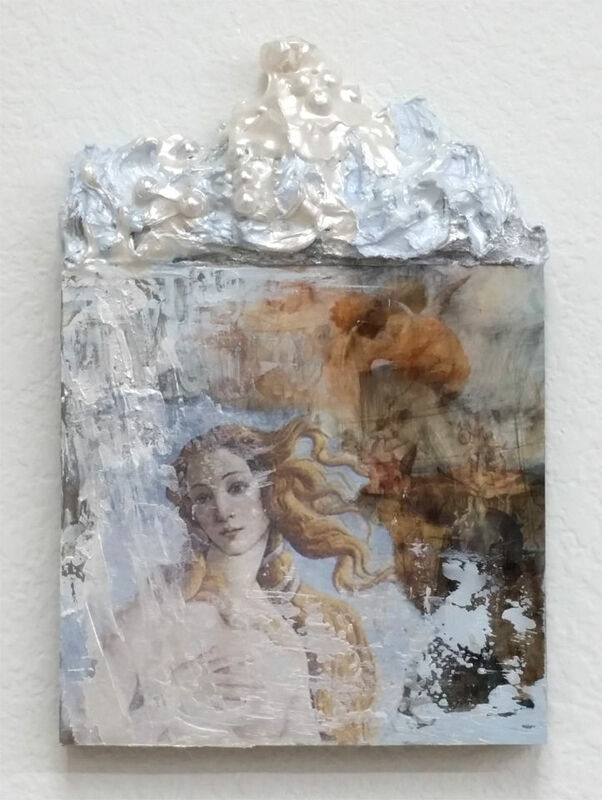 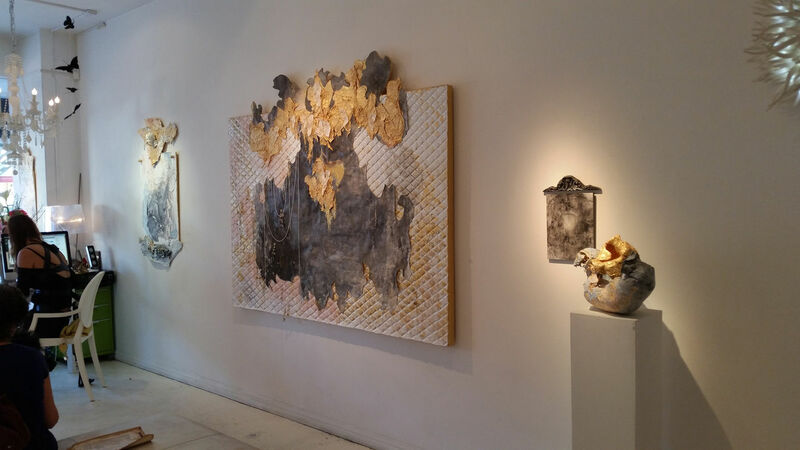 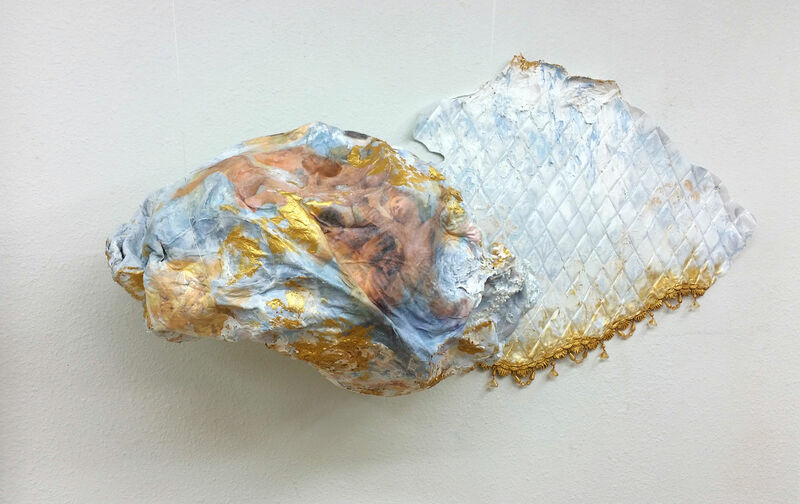 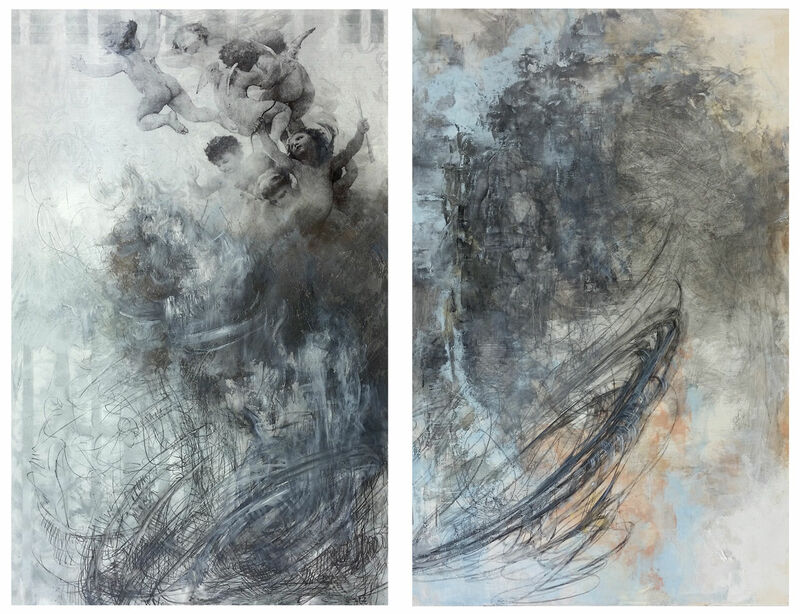 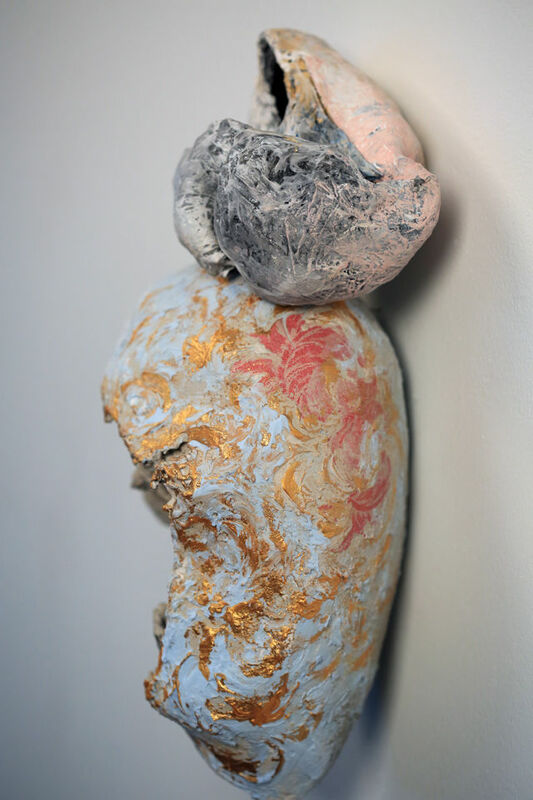 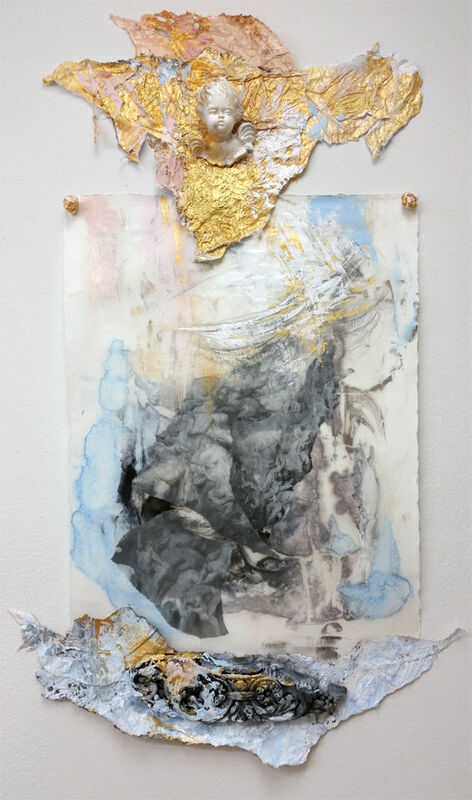 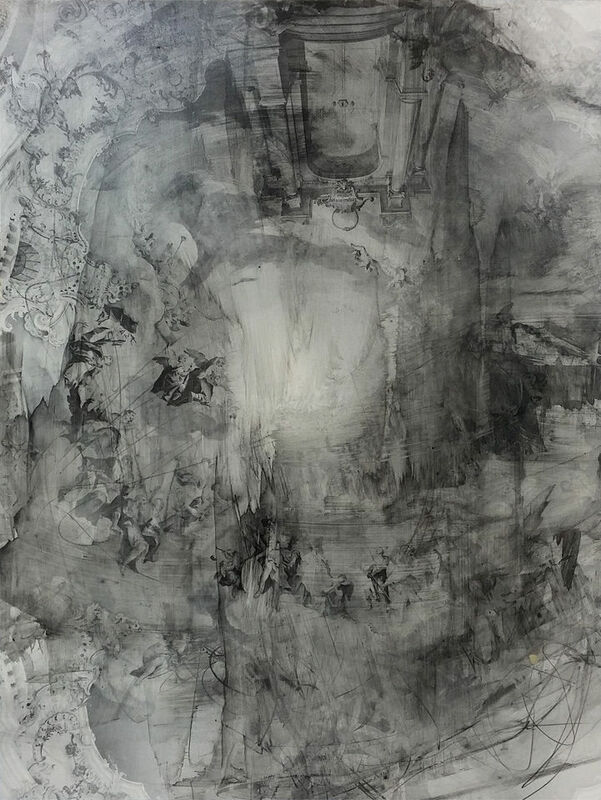 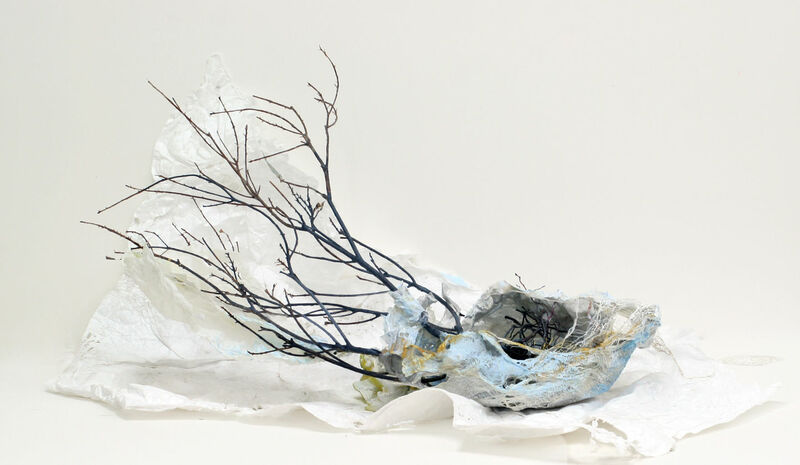 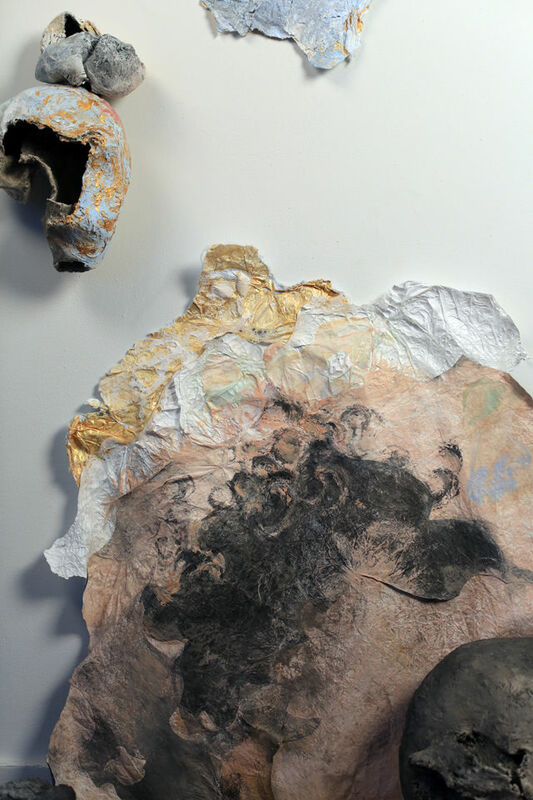 Organic elements such as mulberry bark, graphite, antique architectural pieces and collaged details from masterworks of the 17th century make connections to our roots and sense of growth along with wire, acrylic, tyvek, vinyl, and yupo paper imparting a sense of the here and now. 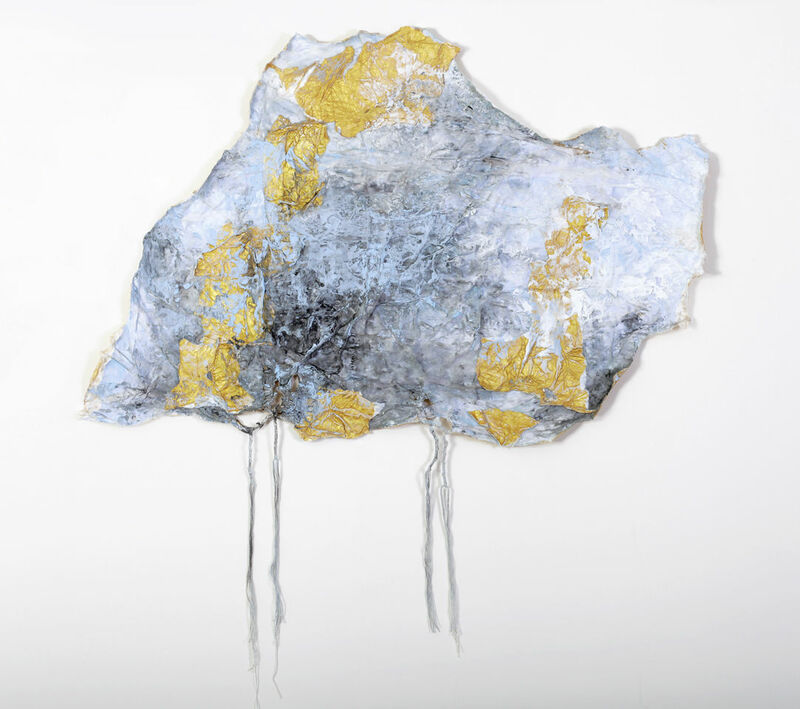 “Suspended Beliefs” is a look at our ever unfolding truths, the way in which we question what we “know” and the unraveling and transformation of long held beliefs.